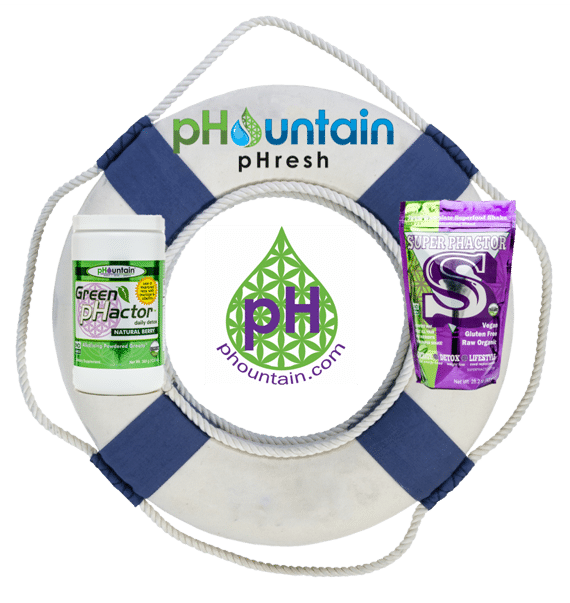 The pHountain Life Preserver is one of the greatest things you can do to be proactive with your health. Starting with our special pHountain pHresh water you will start flooding each cell with an increase in alkalinity. Our water is absorbed better by the body and is the base for everything we do. Our proprietary greens formula is loaded with organic high alkaline greens and superfoods that will increase your energy, help support your immune system, and aid in removing toxins from your body. Finally add in Super pHactor. Super pHactor has everything that is good for you in one complete package. Organic superfoods, fiber, and special herbs and nutrients. It’s a super boost for your energy while helping you feel great. 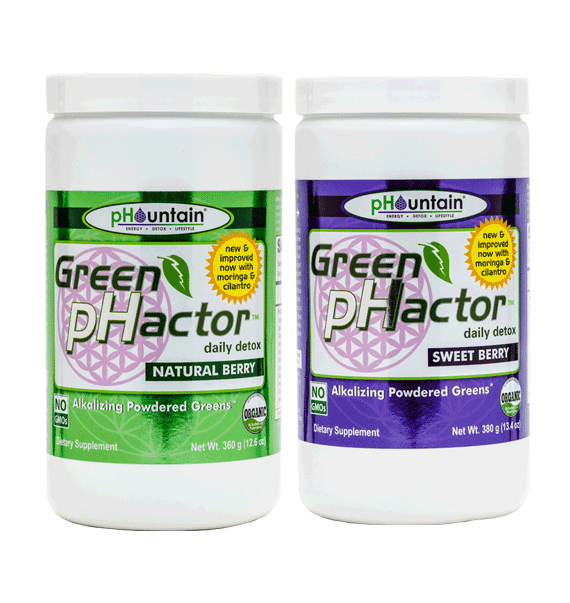 Green pHactor is loaded with highly alkaline raw and organic greens like organic kale, wheat grass, spinach, alfalfa, spirulina, moringa, parsley and cilantro. The elements in green pHactor help the body regenerate itself from the inside out while supporting the immune system, stimulating the lymphatic system, aiding in detox, and helping to keep the body alkaline. Now there are other green formulas out there, but most of them taste like they sound. Like eating a pile of grass clippings. But the founder of pHountain wanted to have the absolute best testing greens on the market. The elements found in green pHactor (minerals, vitamins, phyto-nutrients,enzymes & micro nutrients) help the body regenerate itself from the inside out, support your immune system and give your cells an alkaline boost! We recommend new users to drink green pHactor 3x per day for the first two weeks as an initial cleanse/detox and have reported a dramatic increase in energy, focus and mood, and even weight loss. Start your new lifestyle today! We’ve put together everything that is good for you in package. This will give you a boost in energy, help curb your appetite, and for most people they no longer need coffee. It helps alkalize your body and just makes you feel great. It’s vegan, gluten free and packed with the best raw organic superfoods. What are SUPER FOODS? They are plant-based nutrient-rich natural foods identified as highly beneficial for health and well-being. That's all the ingredients that you'll find in every glass of Super Phactor™ by Phountain. Super pHactor helps support a healthy lifestyle and promote longevity & weight loss. 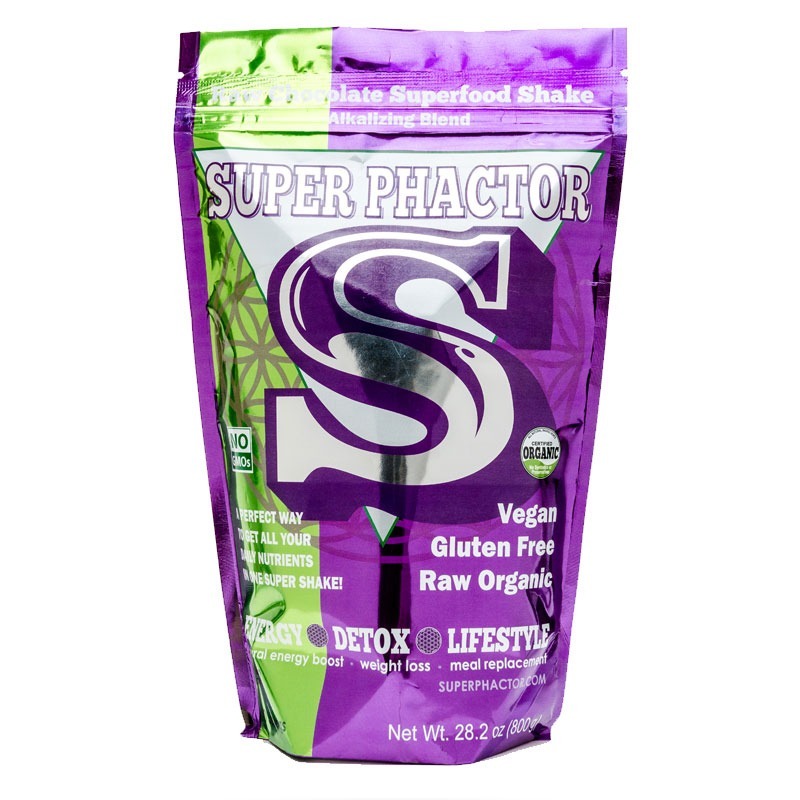 Super Phactor™ was created with the most carefully selected ingredients and the highest standards in raw & organic foods for detoxing and optimal nutrition. It is also recognized as the most complete power-punch of antioxidants, polyphenols and vitamins while being the most delicious super food supplement available! Count on SUPER PHACTOR™ by Phountain for optimal nutrition when it comes to fulfilling the body's demand for the daily dose of nutrients while optimizing our bodies' performance, our immunity and longevity. Where our lives have spun into poor diets, sedentary work and not enough of the right nutrients, SUPER PHACTOR is your complete and proven POWER SUPPLY formula for your everyday challenges.